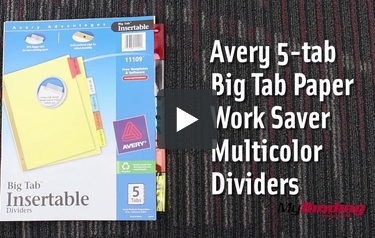 Transcript: These are Avery 5-tab Big Tab Paper Work Saver Multicolor Dividers! Provided is a sheet of labels. There are printing instructions on the sheet, or you can write on them. Each divider is reinforced on both sides where the binding holes are punched. 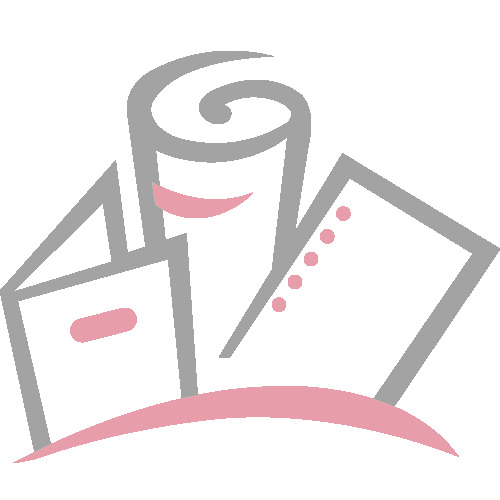 In a standard binder, the pages turn easily. And when closed, the tabs stay concealed, only stick out a small amount in their farthest position. These are Avery 5-tab Big Tab Paper Work Saver Multicolor Dividers! The tabs are quite large for easy viewing, each tab is also a different color. Slip in a label and you are ready to organize!